On Windows, you’ve been able to change how apps look for almost the entire history of the operating system’s life. 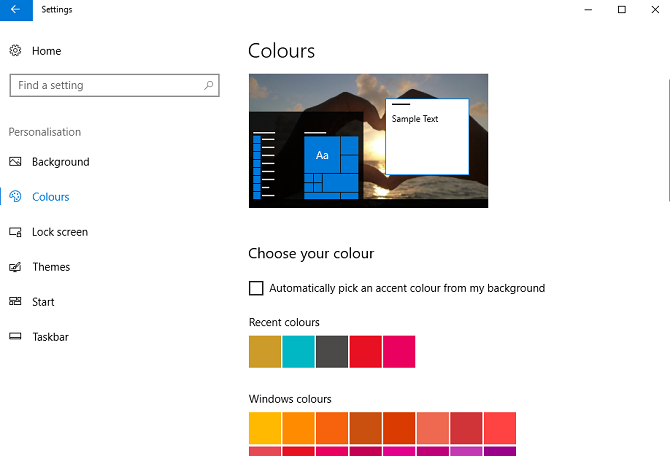 However, Insider Preview builds of Redstone 5 (the next Windows update to be released in Fall 2018) suggest that Windows will automatically change the color of all app borders to gray. The theory is that it will match the new shadows better. Thankfully, you will still be able to override those default settings and change the color. You can even turn the shadows on and off at your pleasure. Let’s take a closer look. On the menu in the left-hand panel, select Colors. You can choose one of the default colors, or you can click on Custom color and enter your own RBG or hex code. Scroll down to Show the accent color on the following surfaces. Mark the checkbox next to Title bars. Go to Control Panel > System and Security > System > Advanced System Settings. In the Performance section, click on Settings. Mark the checkbox next to Custom. Mark or unmark the checkbox next to Show shadows under windows as preferred. Remember one of the best ways to customize the operating is to use your own theme. You can choose a light theme for Windows or a dark theme for Windows.